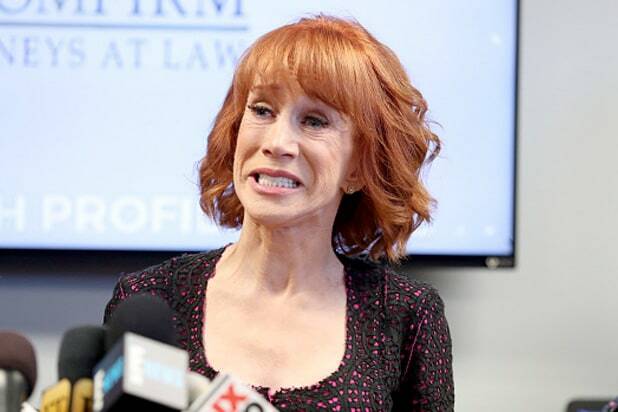 After spending much of the week dealing with backlash for posing in a photo with a faux decapitated head of President Donald Trump, Kathy Griffin told reporters on Friday that she’d suffered bullying from Trump’s family — but vowed to mock the president even more in the future. Since the photo went public on Tuesday, Trump derided her as “sick” on Twitter, while First Lady Melania Trump questioned the comedian’s mental state on social media. During the Friday press conference, Griffin said that Trump’s eldest son, Donald Trump Jr., has also waged a campaign against her. Griffin also suggested that Trump and his administration are trying to divert attention from an FBI investigation into possible Trump campaign ties to Russia by going after her. “They’re using me as a shiny object,” she said. The comedian asserted that the photo was not intended as a threat to Trump. 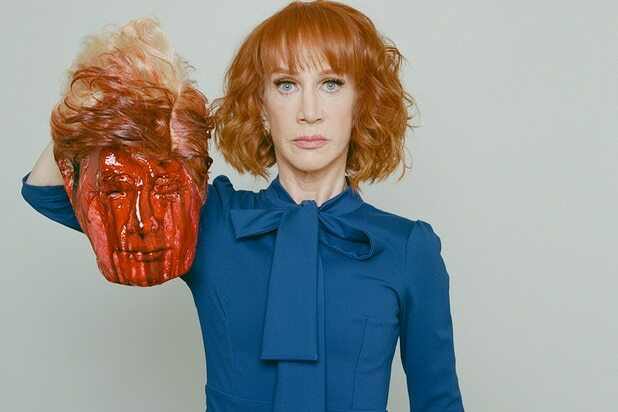 Griffin explained that the photo was meant to parody a comment Trump made about then-Fox News personality Megyn Kelly, that Kelly had “blood coming out of her eyes, blood coming out of her wherever” when she grilled him during a presidential debate.